The variety of species in a sample, community, or area.) of extinct and modern species. Understanding how species survived, evolved, or became extinct as a result of the changing Earth can provide clues for how life will continue to evolve in the future. Understanding the evolution of bivalves, or any other group of organisms, gives us better background knowledge to predict, for example, what an endangered mussel needs to survive, or how much harvesting a commercial clam can sustain. Knowing who's related to whom helps us predict how different bivalves will respond to global warming, and which species should be watched as potential pests or as new candidates for commercial use. 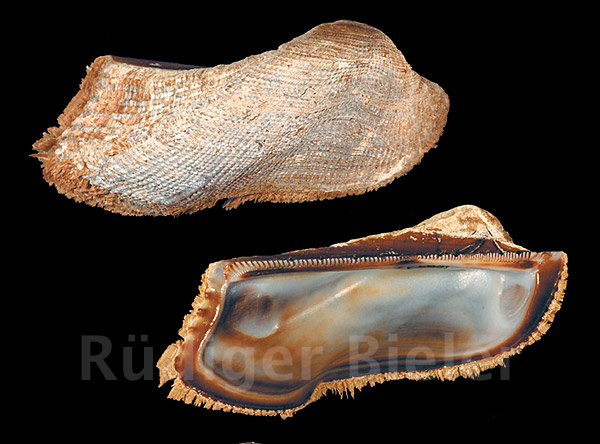 Bivalves have been on this planet more than 500 million years — much longer than we have. Insight into their genetic code — much of which we share — helps us better understand gene evolution and the relationships of living organisms in general. 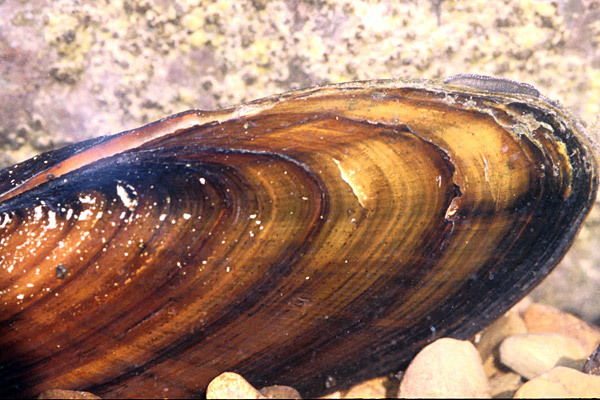 Some freshwater pearl mussels rely on a single species of fish to reproduce, whereas others can use many different species. Some species live only in a single river, and many are already extinct in North America because their habitats have been changed by human activities. The host fish for some species of locally endangered mussels, like the Eastern Pond Mussel (Ligumia nasuta) in Massachusetts, is unknown. However, knowing the host fish and habitat requirements of its closest relatives, especially other species of Ligumia, allows us to predict how narrow or broad its preferences might be, to better protect its surviving populations. 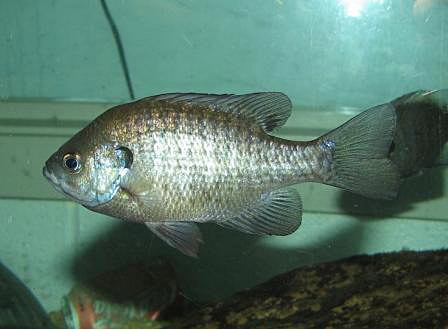 The Black Sandshell (Ligumia recta) and one of its known fish hosts, the Bluegill (Lepomis macrochirus). 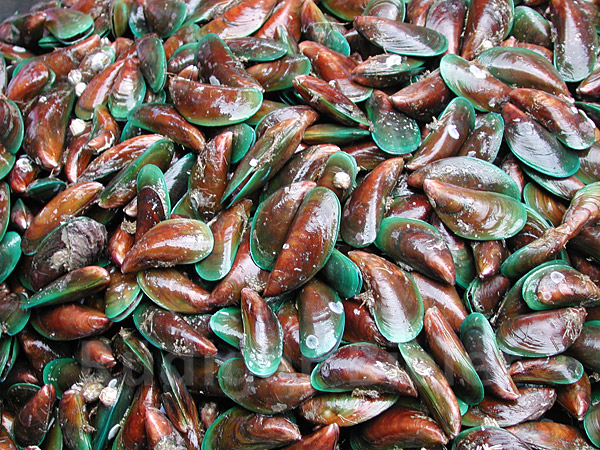 Green Mussels of the genus Perna, now well-known in fish markets and restaurants worldwide, were once more easily separable by geography than by their appearance. Today, two of the three species in the genus have left their native ranges and established themselves on distant shores, where they clog intake pipes of seawater-cooled industrial plants. Recent molecular phylogenies of worldwide Perna populations, based on DNA sequences, have allowed us to genetically distinguish these cryptic species, to track the pathways of their modern distributions, and to predict (or rather avoid) further spread of these marine pests. Two little-differentiated species evolved from a close common ancestor. — morphologically similar species on both sides of the Isthmus of Panama — have shown us that this might not be a good substitute. Molecular analyses of six ark clam geminate pairs point to their separation 10 to 30 million years ago, well before the emergence of the Isthmus. 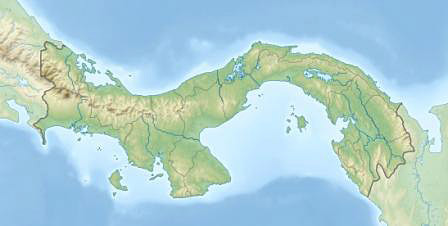 So using the “isthmian emergence” might be a misleading time keeper for estimates of Panamanian evolution. More than two sets of chromosomes in a cell or organism. (adj. 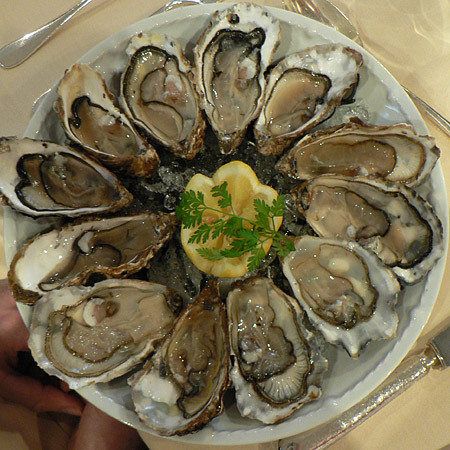 polyploid) oysters (with 2 or 3 times the normal number of chromosomes), we make individuals that are sterile to direct all of their energy into body growth — yielding bigger oysters in shorter periods of time. Sterile oysters also safeguard wild populations because they cannot breed or interbreed if any escape from culture. 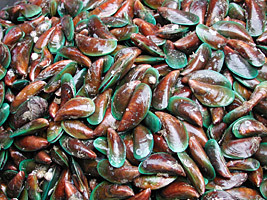 This method is being used around the world for a wide variety of bivalves. Phylogenetic analysis, or cladistics, is a technique that was developed specifically to learn about the evolution and relationships of biological species. 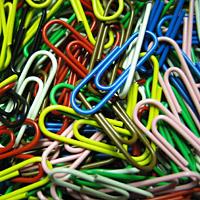 However, this same technique is now being applied to the evolution of human languages, folk musical instruments, and even the design of paper clips! Due to their vast numbers and very short generation times, the effect of evolution on viruses and bacteria is easy to observe. The common flu virus changes (evolves) enough every year that a new flu vaccine must be produced to protect the human population from repeat infection. 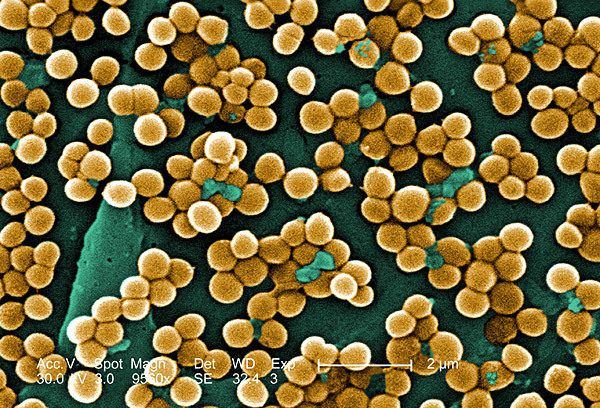 In addition, a significant number of bacteria strains have evolved antibiotic-resistance to the human-devised drugs that previously would have killed them. 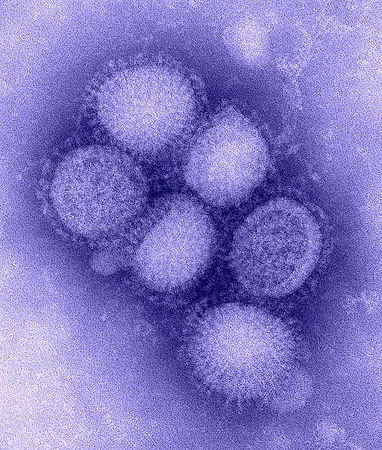 Micrograph the H1N1 influenza virus. 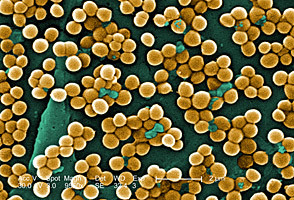 Scanning electron micrograph (SEM) of numerous clumps of methicillin-resistant Staphylococcus aureus bacteria, commonly referred to by the acronym, MRSA.